This is a great figure. I actually posted a thread about her many months ago (can't find it) asking who this gal was and talking about a hypothetical custom. If someone could post a pic of her, it'd be much appreciated. There's plenty more over at The Padawan's Guide! 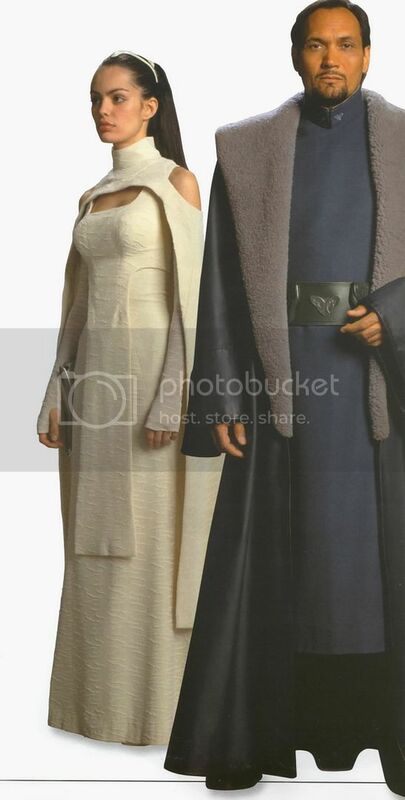 That site's my favorite source for SW costume reference pictures -- I go there all the time. Johnboy, thanks for the bigger pictures! Once again, very nice work on Sheltay, and it's always wonderful to see well-done female customs. Inspired by your efforts, I'm going to give this gal a try myself -- just started her tonight, in fact. Thanks Quazar for the pic. That's the one that I based her face off of, and I also finally found the full length pic that I used to base my figure off of. Findswoman - I'm eager to see what you can come up with, are you planning any softgoods for this endeavor? WOW much better then a bunch of red X's . seriously this a really great custom A+ the attention to detail is amazing, even the ears. look forward to seeing more of your work. That looks like a Production Piece. Very nice work johnboy. She's great. 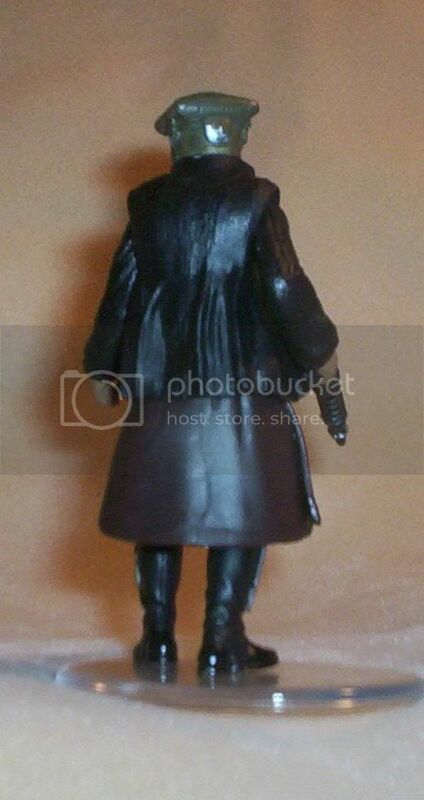 I may have to pursue this figure. 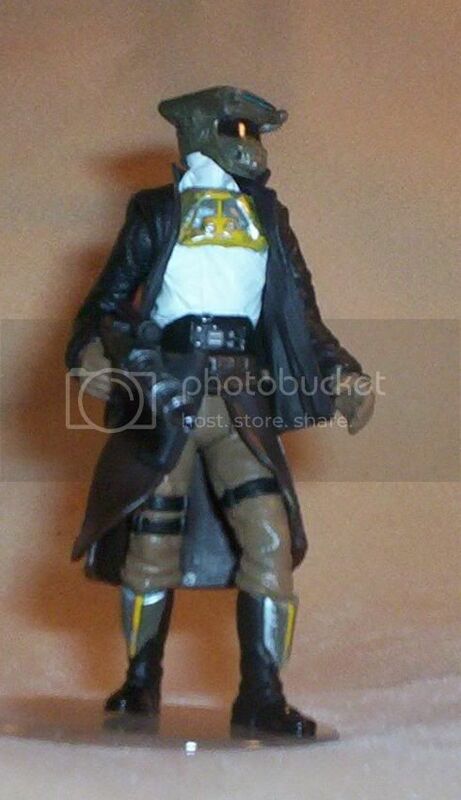 Here's my version of an Ubese bounty hunter, Bambouzshh Eld. He started from a small clan, becoming notorious, on small outer rim planets, for his thoroughness, and efficiency in completing his contracts. By building up business, he finally made it to the scrubs of Coruscant, where he adopted the more common clothing of the universe, as well as learning the Basic language. I like it quite a bit, pretty original. Got a recipe for it? 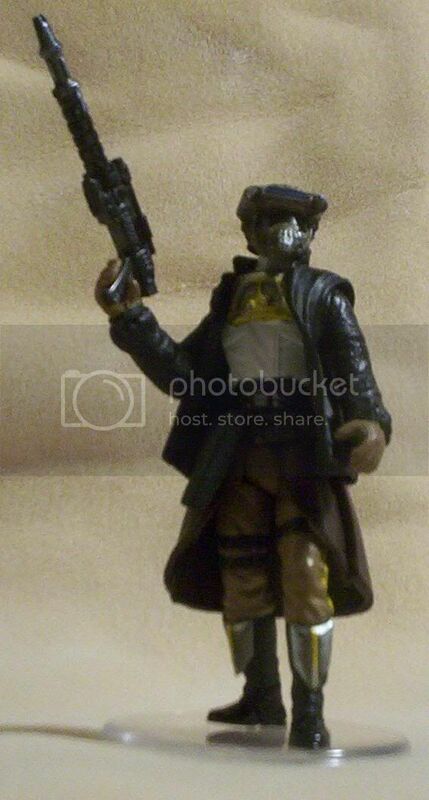 It looks very cool, and I like the Boush helmet a lot on this custom... looks like a lot of different figure parts went into it. Thats a sharp looking figure. Great blend of parts frm many SW lines. I really like the chest piece and the boots with that armort plating on them. ALso the layered outfit looks cool especially that pic from the back. 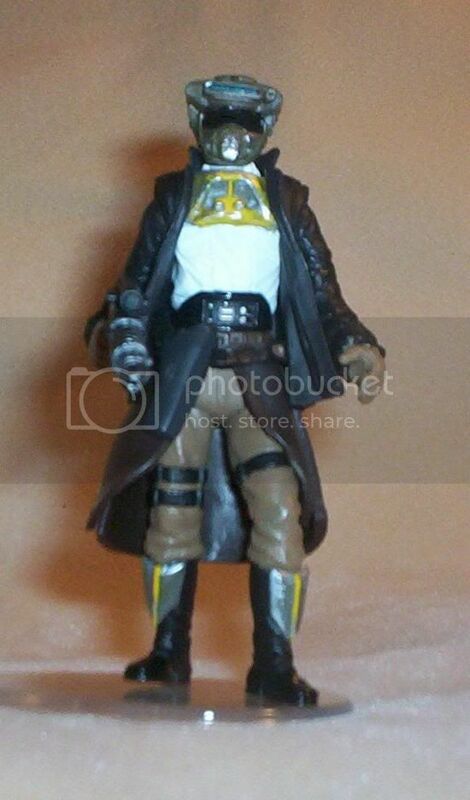 The weapon reminds me of another more familiar bounty hunter who infiltrated Jabba's palace. Always cool to tie in accessories like that! Once again, your parts selection is excellent. I like the layered flow to his robes, that's something I don't see often. Is his helmet removable? Does it have a "working" visor? Dressed to kill! Bambouzshh Eld looks pretty slick. Great use of clothing, like the others said, and I just love that pic of him holding the gun up! I'd also like to see a recipe very much. 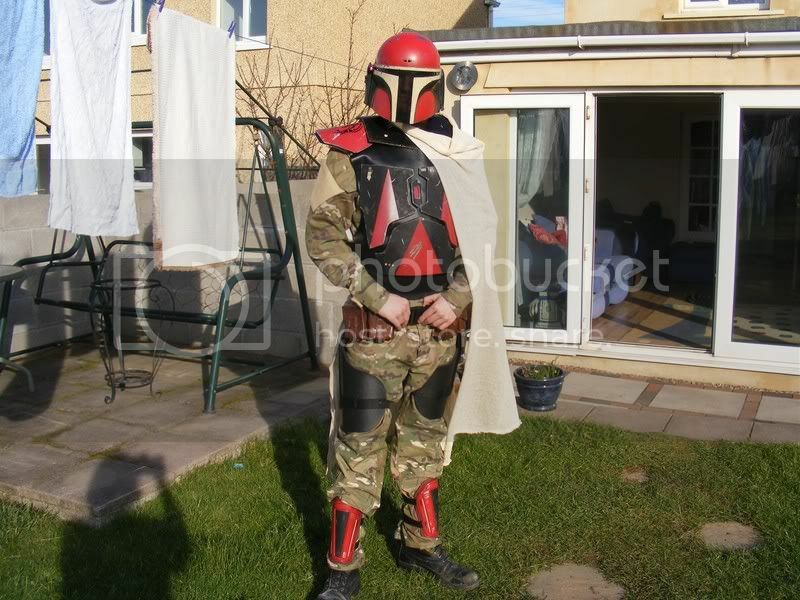 Nice looking Bounty Hunter. I still expect to see Leia's head under that helmet though. My favorite part is the layering of the clothes.